In December 2015 I was part of the International Hepato-Pancreato Biliary Association (IHPBA) global outreach program led by Professor Jagannath who travelled to Sri Lanaka. The team consisted of HPB Surgeons from India, America and the UK. The visit was hosted by Aloka Pathirana Professor of Surgery University of Sri Jayewardenepura and HPB Surgeon at Colombo South Hospital and Professor Mohan De Silva former president of the Royal College of Surgeons of Sri Lanaka. The majority of the event was held in the Sri Lanka College of Surgeons a beautiful colonial building lying in the centre of Colombo City, which was donated, by Dr Noel and Mrs Nora Bartholomeusz. The first morning a laparoscopic skills course was being held, this is a biannual event sponsored by AESCULA aimed at year 1,2 & 3 general surgical trainees. They are required to successfully complete this before progressing further with their training. 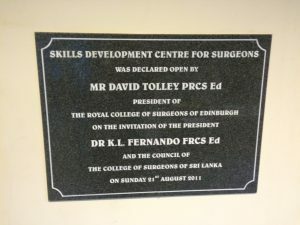 This course is held in the laparoscopic skills centre, which was officially opened by Mr David Tolley previous president of the Royal College of Surgeons in Edinburgh in 2011. The majority of this skills station is equipped with instruments donated by the patients treated in the private sector by the organizing consultant surgeon. I had the opportunity of observing and taking part in some of the interactive teaching sessions during the morning. Later Prof Jagannath and the remaining members of the outreach team visited the centre. We learned that this skills lab was still not fully equipped and was lacking several instruments, which could improve the teaching potential of this facility. Dr Jagannath pledged help to provide the additional equipment required. Later that day a 3-day joint clinical session of IHPBA and Sri Lankan Hepatobpancreaticobiliary Association (SLHPBA) began. 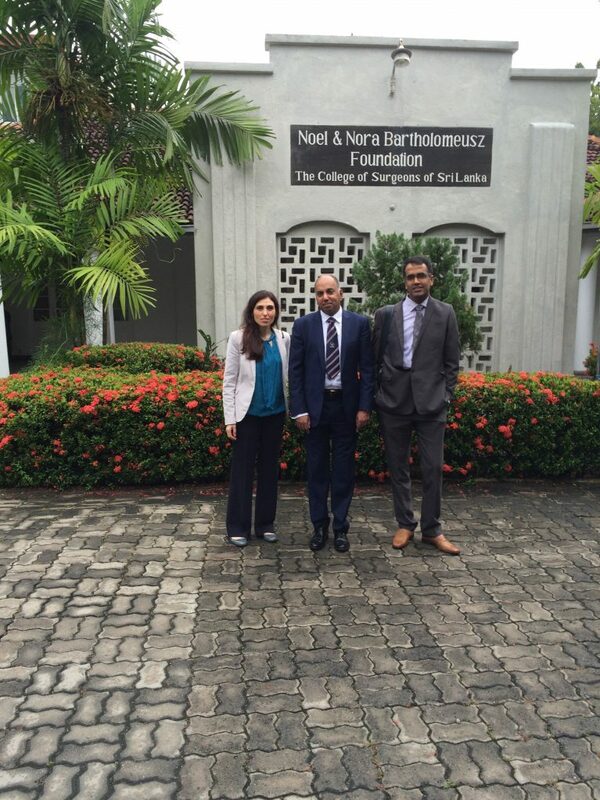 This was attended by surgical trainees from across Colombo and consultant Surgeons with a specialist interest in HPB. Over this 3-day meeting the faulty were able to provide a comprehensive review of major HPB topics with up to date literature. This led to constructive discussion and debate. The students provided very positive feedback at the end of the sessions, and requested a regular meeting of similar format to be set up. During this event our Sri Lankan HPB colleagues also gave an honest review of their current work and audit of their case volume and outcomes. 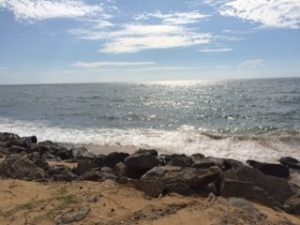 Currently in Sri Lanka there are no designated “official” HPB units, rather general surgeons with and interest in HPB surgery. Volume and complexity of cases varied greatly between centres. The highest volume centre had performed 12 Whipple resections, 10 distal pancreatectomies and 18 liver resections this year. Others were performing approximately 4 Whipples per year and some centres concentrated on cholecystectomies only. One of the problems is the limited number of trained HPB surgeons and lack of operating time available to them. The HPB service is not centralized and although some center’s outside Colombo will now refer patient to the higher volume units in Colombo, in others self taught surgeons continue to perform a variety of HPB procedures. A liver transplant program was set up in 2011 with only small numbers being carried out. 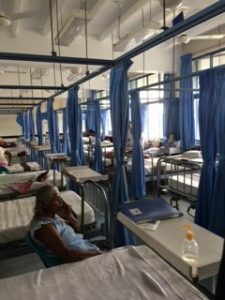 Both deceased and living donors are available in Sri Lanka but they are still some way to developing the full infrastructure and knowledge required both by the public and other health professionals. Many of the issues are centred on the reluctance of neurosurgeons and anaesthetist to collaborate. ITU beds are in short supply and organ donation slows the movement of patient through this department. 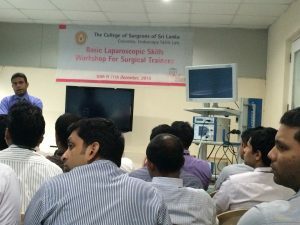 There is no structured training for those who wish to pursue a career in HPB surgery here in Sri Lanka. 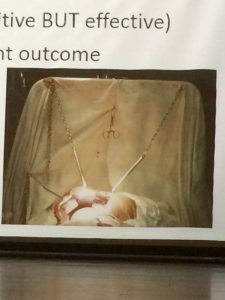 There are 5 units across Colombo that performs HPB surgery in varying volume and complexity but this does not provide adequate exposure for the trainees. Many had travelled abroad for fellowship’s to learn skills to be brought back to their country but sadly a significant number had not returned, choosing to take up consultant jobs abroad. The consultants currently practising HPB surgery in Sri Lanka had been partly trained in the UK, Australia and Hong Kong. 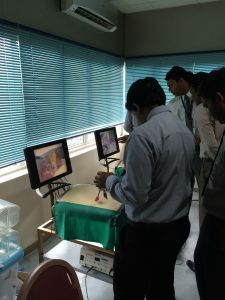 The proposed training pathway for those Surgeons interested in pursuing HPB as their specialty is: one year in General surgery, one year in HPB surgery in Sri Lanka with a further 1 – 2 years of HPB training overseas. There are still few women choosing a career in Surgery, as in the UK 60% of medical students are female but only 1 -2 women enter the surgical programme per year. 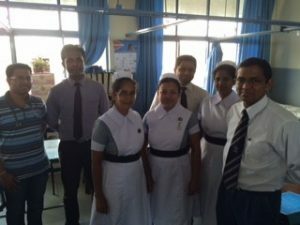 We were able to visit Colombo South hospital where Professor Pathirana is based. This completed the visit perfectly allowing us to observe first hand clinical practice for some of our HPB Surgical colleagues here in Sri Lanka. They have a very organized set up with both local and multicentre MDT, M&M and educational meetings scheduled. MDT was established in 2010 and is now held weekly in 3 centres with an on line database maintained. This has produced a significant improvement in services and increased referrals. They have a fully equipped ITU. Wards are unisex but still have the open planned style. In this HPB unit they have one CUSA machine for liver resections and perform ERCP routinely. The trip was incredibly full, informative and stimulating. Our hosts were most welcoming and open with us and I hope this visit can be the beginning of a more sustainable project.